Today’s post has a serious message. Love Chic Living has joined with Shelter to help bring awareness to this campaign, and to let you know what you can do to help. Over the next few weeks I’m going to be bringing some home interior related posts, hoping to inspire you into supporting this fabulous charity. 90,000 children in Britain – the equivalent of three children per school – will wake up homeless this Christmas, government figures show. That’s an alarming statistic isn’t it, and as a parent that really hits home for me. An in depth investigation by Shelter uncovered that over half of the families said their children’s mental or emotional health had been affected, including reports of depression, panic attacks and wetting the bed. Shocking, and so incredibly sad. 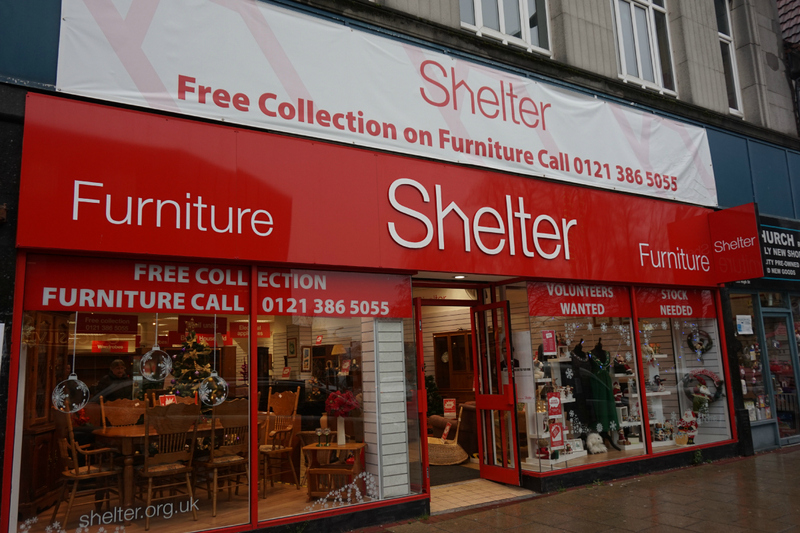 Last week I visited one of two Shelter Furniture stores located in Birmingham. Whilst they aren’t nationwide yet, if these shops are successful, the model will likely be rolled out across the country. It’s a big shop, and was satisfyingly busy, with a good range of stock. There were some lovely pieces on display, arranged in room sets to really help showcase how you can use these preloved items in you home. Some would be perfect as they are, others may need a little care and attention. 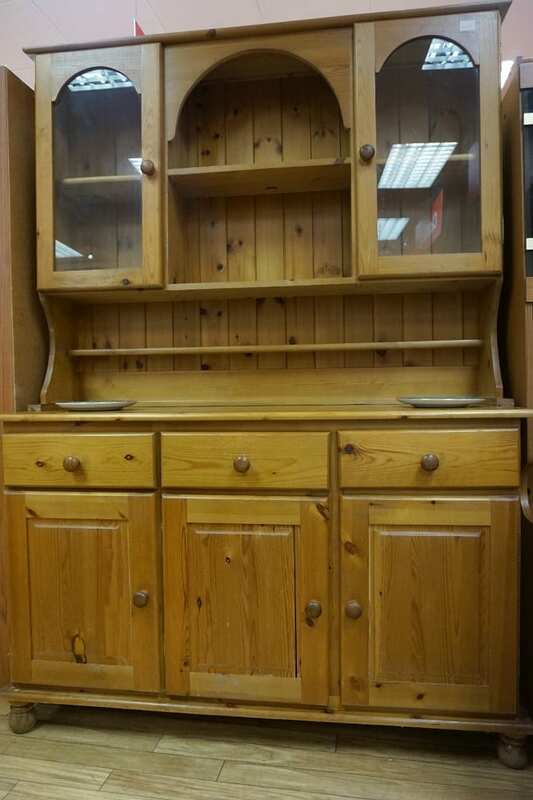 I spotted this incredible Pine Welsh Dresser for just £150 and couldn’t help but visualise how it would look after some upcycling. It was in great condition, solid and all parts working, but was a little worn in places. Can’t you see how fabulous it would look in a large kitchen/diner? Would it look good in your home perhaps? If you need some help seeing how good it could look, why not take a look at these upcycled dressers I’ve found on Pinterest, just to show how striking and up to date it could be. Now, if you think this kind of project looks complicated, it really isn’t. The main thing you’re going to need is time, and probably a little patience. I would recommend Annie Sloan chalk paint, which is really easy to use, creates a wonderful finish, and covers easily. It requires minimal preparation (my kind of product!) and can be used straight from the container, or watered down for a different finish. It’s the ideal paint if you want to achieve more of a shabby chic look, which these dressers are perfect for. But, used straight from the tin, the paint will also achieve a smooth, contemporary look too. Then think about how you want to style it. With our Shelter Furniture charity dresser, you might consider removing the glass doors to create an open shelving display area. You might think about painting the backing a different colour, or perhaps adding some wallpaper. Finally, you’ll want to change the knobs and this will really set the tone for the style you’re going for. So, I do hope you can see how a charity piece like this can be transformed, and given a new lease of life in your home. With the number of homeless families on the rise, Shelter is bracing itself for a surge in demand for its already over-stretched advice services. The charity is calling on the public to help make sure it can be there for Britain’s homeless children this Christmas by donating to its urgent appeal. You can also find out more about donating furniture on the Shelter website. Please give and do what you can. Such a fantastic organisation to be involved with Jen. Love the ideas too! Oh Jen how brilliant, great campaign and great post inspiration! Is there one in Nottingham? I need a desk for L and lots of her other furniture is up cycled? A fabulous charity to be working with and I hope that they manage to open more stores around the UK so we can all help support them – plus hopefully find amazing welsh dressers. I didn’t know that they had shops in Birmingham! This is a great post and we have had a shop open in our little town that sells chalk paint …. this might be a project for the new year! great charity to work with, that dresser would look amazing upcycled! You can pick some fab furniture up from charity shops! Thanks for highlighting such a worthy cause and how amazing is that dresser!? 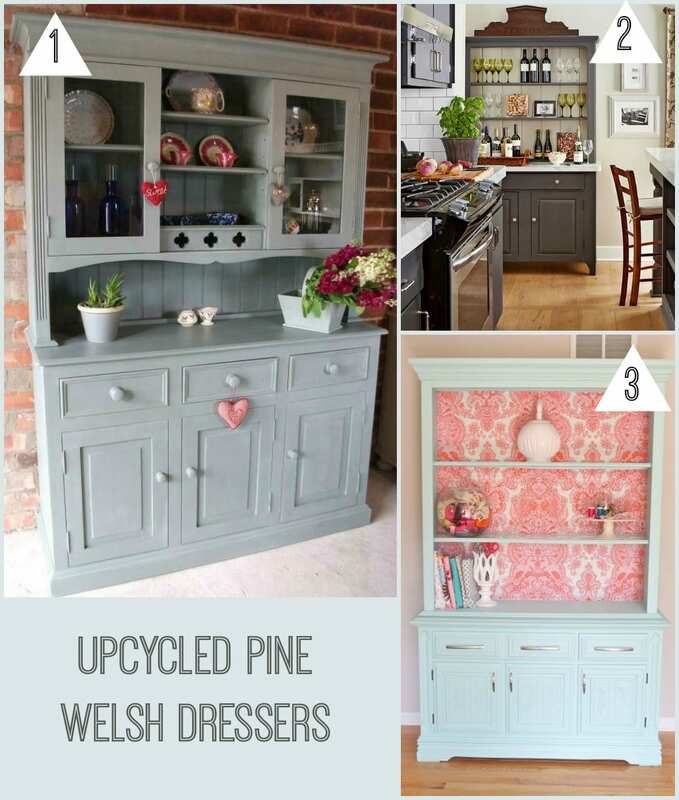 I love that Welsh dresser and I love the idea of donating furniture to a charity. My brother and his wife recently got two sofas from a local project that way. I tried to donate a sofa and rang a few charities but it was in bad nick, beyond my upcycling skills and no one would have it so it’s of to the council to be recycled (hopefully). This is definitely a great way of moving things around and supporting a great charity, though. The idea of recycling furniture and making them look beautiful once again is just brilliant. I can’t decide which part of this idea I like most. I believe recycling is pretty important and in the other side bringing back to live old furniture, make them almost magical. We buy everything from second-hand furniture shops and car-boot sales – there’s nothing better than furnishing your home, being good to the environment, saving money and donating to charity all in one go. What a great campaign to be involved with – I don’t think there’s one near us, but I’ll keep an eye out. I can remember as a young girl my mother dragging me to house auctions to find furniture to up cycle – and from then onwards it’s something we still love doing together and I really enjoy visiting furniture charity shops as well as donating items when I can.